Rock Review Phil: Five Finger Death Punch "The Wrong Side of Heaven and the Righteous Side of Hell - Volume 2"
Five Finger Death Punch "The Wrong Side of Heaven and the Righteous Side of Hell - Volume 2"
The good thing about having already discussed Five Finger Death Punch when I wrote about Volume 1 of The Wrong Side of Heaven and the Righteous Side of Hell is that I can just go straight to the point with Volume 2. 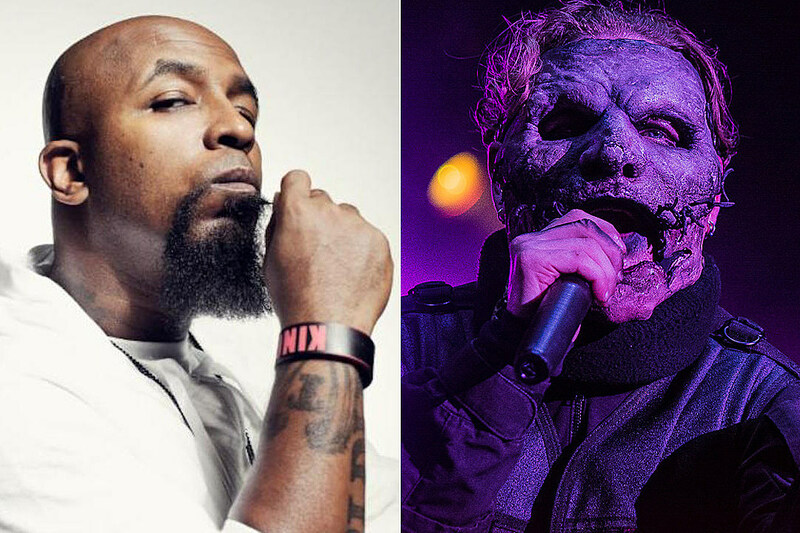 There have been a number of bands doing what Five Finger Death Punch did in releasing an album in two parts a few months away from each other. Stone Sour also recently did it, and Green Day released three albums in a matter of about four months last year. It’s a trend I hope doesn’t stay. I mean sure, the more music from a band that I like the better, but why does it have to be released in the same year? I’ll get back to that. For now I’ll talk about Volume 2 of The Wrong Side of Heaven and the Righteous Side of Hell, an album that I feel is far less superior to its predecessor. The album starts off promising enough with Here To Die; a Five Finger Death Punch patented groove metal song mixed with Ivan Moody’s growls and melodic clean vocals and string busting guitar playing by Zoltan Bathory and Jason Hook. The second track, Weight Beneath My Sin features a slower paced Five Finger Death Punch that we are all familiar with and then there is Wrecking Ball (as I’ve previously declared it the only song called “Wrecking Ball” to have come out this year that is WORTH listening to.) This song takes the super angry side of Five Finger Death Punch, but it’s a side we’ve heard many times. Luckily it sounds better than most angry songs the band has recorded, most particularly anything off of the bands War Is The Answer album. It’s the fourth track where the album climaxes. Battle Born shows an enormous turning point for the band. The problem is that an album shouldn’t climax at the fourth song, not when there are eight more songs to listen to. In the case of this album, after the fourth track, there is very little to spotlight. It’s okay for an album to start slowly declining after the fifth or sixth track, but I can’t think of many albums to have come out all year to have four such great songs open the album only to trail off in to forgettable territory right after. Cradle to the Grave starts off with some hope with some well pounded drumming by Jeremy Spencer. The chorus of the song is worth listening to and saves the song from being just another Five Finger Death Punch song. The same cannot be said about Matter of Time which sounds like just another metal song with angry growls filling the verses and quickly thought up melodies for the songs clean sung chorus. After The Agony of Regret; a dark minute-forty second acoustic interlude, comes the song Cold, a remake of a song from Ivan Moody’s previous band. Cold is another turning point for the band. By now they have a few softer sided songs, and the band seems to be less afraid each time they record a softer song. There is nothing truly special about the song though, I mean I like where it was placed on the album, but compared to a song like The Bleeding, this song is forgettable. For someone who’s only heard this album and no other Five Finger Death Punch album, however, this song would stick out in their memories. Afterwards it’s more of the same. Let This Go is angry and somewhat fast paced with a chorus that only barely saves the song. My Heart Lied is melodic, I like how melodic it is, but the band felt they had to make the music backing up the melodies a tad too heavy. I’d have liked this song just fine if musically the song was more like Battle Born. Then there is A Day In My Life, which is just another Let This Go, or Matter of Time just slowed down a bit. I already didn’t like Five Finger Death Punch’s cover of Bad Company from their War Is The Answer album. I only think a little bit more highly of their cover of The House of the Rising Sun, originally a folk song made famously in to a rock classic by The Animals. I don’t mind the way the song starts and finishes, sounding like an old record playing in a western movie. The rest of the song, the way the band turned it in to a metal song, is not something I enjoy. I like the guitar solo though. I give the band the benefit of the doubt and just accept that they had absolutely no more songs to record so they just decided to end the album this way. To conclude, I think releasing two albums in the same year was the wrong choice for Five Finger Death Punch. When any band writes a new album, they normally find themselves with more songs than they know what to do with. In this case, the band decided to record all of them rather than just cut a few and maybe use a bit later. The only problem is it is clear that the band just ran out of gas. I think they should have taken more time and perfected some of the songs and released this album sometime in 2014. There’s no shame in releasing two albums a year apart from each other. They could have also named it something else had they done that, because I feel the only similarities between Volume 1 and Volume 2 is their names. Perhaps they could have had more songs like Battle Born or Wrecking Ball and less forgettable tracks. “Battle Born” –­ Typically my chosen highlight is the track that best sums up the album. This time I’m going ahead and picking the track that I wish best summed up the album. As previously mentioned, this song is a big turning point of the band. Probably even their biggest turning point seeing as how this song sounds like absolutely nothing that they’ve ever recorded. It’s not super heavy, but it’s not really what I’d call a soft song. It’s probably the best song the band has recorded in terms of how melodic it is; not just the singing carries the melody but also the music, rather than just being heavy chugging chords like most Five Finger Death Punch songs. The guitar solo is also something to be cherished, as it sounds like a classic metal solo. It isn’t showy, and you appreciate every note that is being played, just like many of my favourite guitar solos.